Private investors traded the waterfront restaurant on the Maribyrnong River for $2.4 million, reflecting a 5.1% yield. The property has a building area of 465sqm building area that includes a restaurant and function centre, and an additional outdoor terrace of 255sqm. It is leased to Riviera Café and Restaurant on a 6+6+6-year deal. A Hong Kong-based investor acquired the Gainsville showroom for $7.8 million, at a 6.72% yield. The 7,026sqm outlet is on a 1.238ha site, over which the furniture retailer has a 10-year lease with two five-year options. Developer Hengyi sold the Absolute Health & Performance ground floor gym of 369sqm for $5.05 million, at a 4.72% yield. The strata shops sold together for $3.84 million at a 4.4% yield. They have a total area of 192sqm are on the ground level of the 12-storey Q2 commercial building. Two levels of vacant strata retail and office space of 937sqm were traded between private investors for $4.1 million. The property has an existing kitchen and bar fit-out. The 75sqm Envogue Hair Design salon is on a 201sqm site that sold for $1.002 million at a 3.5% yield. National hospitality operator Red Chilli Group signed a seven-year deal over the fully-fitted 320sqm restaurant space, at $165,000pa net with 3.5% annual increases. US-based fitness group Barry’s Bootcamp will open its first Melbourne site after leasing 700sqm across a ground floor retail space and first-floor parking level within the 16-level commercial car park building, owned by Hong Kong group HK Realway. Eclipse Coffee will open its third café after signing a seven-year lease at $1,700/sqm for the 50sqm space. Greek desserts shop Lukumades has taken up 59sqm on a five-year deal at $60,000pa. A private investor paid $7 million for the two-level corner building of 645sqm. On a 502sqm site zoned Commercial 2, the property includes a Woven Treasures rug store outlet, multiple office spaces and 12 on-site parking spaces. The International Buddhist College sold the two vacant strata levels of a combined 894sqm to property developer and investor Harry Chua for $7.25 million. Archmap Architecture inked a five-year lease at $375/sqm net over the 200sqm suite with six parking spaces. A local law firm signed a 4+4+4-year lease over the three-level building, which includes a two-bedroom penthouse apartment, at $220,000pa. VincentCare Victoria sold the Bailly House homeless hostel site to a development syndicate $7.75 million. The 3,062sqm property sold with a permit for 19 townhouses, and is behind VincentCare’s future home, Ozanam House, of 11-levels at 179-191 Flemington Road that is currently under construction. A local developer paid $812,000 for the 1,177sqm site, which has approval for four three-bedroom dwellings. Whittlesea Council sold the 3,170sqm office and warehouse building leased to Cabrini Health for $3.61 million. It is on an Industrial 1-zoned site of 5,578sqm site and has a new 3+3-year lease with an annual returns of $200,000 plus GST. The vacant 1,240sqm office and warehouse facility is on a 2,509sqm site with 14 on-site parking spaces and sold for $2.23 million. The Nino Early Learning childcare centre traded for $6.35 million. It has a 20-year lease and is licenced for 140 place, and returns $420,000pa net. An owner occupier acquired the 425sqm ground floor strata medical centre off-the-plan for more than $3 million. It will be part of the Martin & Powlett residential tower. 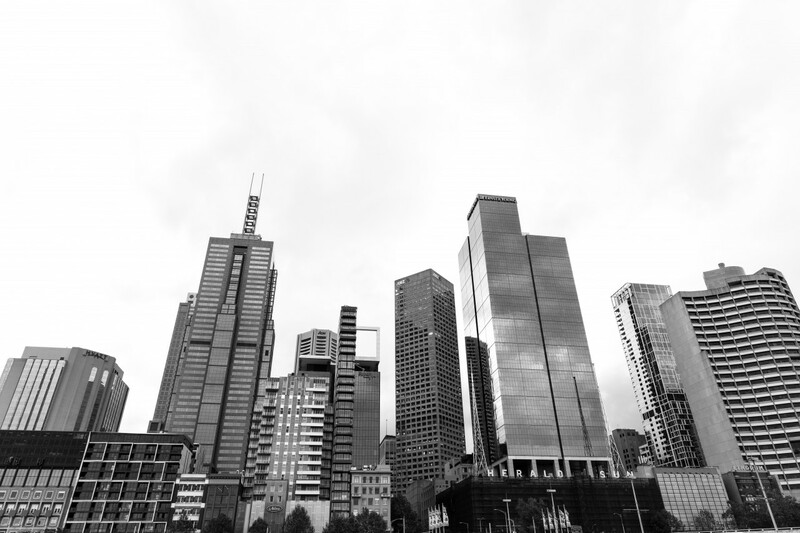 Melbourne office vacancies the nation’s sharpest: Strong demand and economic fundamentals has kept Melbourne’s CBD office vacancy rate the tightest among the capital cities, firming from 3.6% to 3.2% in the six months to January, according to the Property Council of Australia. Net office demand across the CBD is currently at 70,000sqm, more than double the historical average, and is by some distance the largest in the country. Melbourne will see around 500,000sqm of new space come online over the next three years. Richmond attracts second development play from Chinese-backed group: Developer Poly Australia, a subsidiary of Shanghai-listed major China Poly Group, has paid $26 million to acquire its second Richmond property. The 4,000sqm site at 171 Buckingham Street has a permit for four buildings ranging from three to seven levels, which will have a total of 145 apartments and townhouses, a public garden and 200sqm of retail space. Fronting Burnley Street, it is just metres from Victoria Gardens shopping centre and was purchased from previous occupier, party and events company Harry the Hirer. Poly Australia also owns a 2,047sqm site in the Richmond Hill precinct that it will use for a high-end townhouse development. Developer takes former Cotham Private Hospital site: Hamton has acquired the 2,245sqm former site of the Cotham Private Hospital in Kew for a reported figure of about $10 million. The hospital closed in June, and Hamton will look to develop a boutique residential project aimed at owner occupiers. New office tower set for South Yarra’s Forrest Hill: The City of Stonnington has approved an office tower on the site of 627 Chapel Street, giving the green light to revisions of the initial 24-level, circa-24,000sqm plans submitted by developer Goldfields. The tower will be positioned within the high-density residential precinct of Forrest Hill, while further down Chapel Street the $500 million redevelopment of the Jam Factory will bring up to 50,000sqm of office space across four buildings to South Yarra. Student accommodation player takes two CBD sites: Offshore student accommodation developer and fund manager Cedar Pacific has acquired two properties in the north of Melbourne’s CBD. The purchases included a 705sqm site at 21-23 Wills Street for circa $30 million, and the 671sqm site at 301-303 La Trobe Street. Both sites were originally slated for apartment projects. Cedar Pacific has two student accommodation projects in Melbourne – of 410 beds in North Melbourne and 579 beds in Carlton – set to open this year.